The trees here in Whistler constantly amaze me. Well, I suppose trees of any kind in any place are quite amazing; their billowing roots, their twists and turns, their constant evolution; they are alive. With each hike I am reminded of this and I am humbled and enchanted all in one breath. I moved to Whistler one year ago from Ontario, and perhaps that is why the trees here leave me awestruck. They are big, abundant and varying, making them vastly different from what I am used to. Although many people assume our forests are built up of mostly pine trees, they include a multitude of species. This variety of species is due in large part to Whistler’s many microclimates. Our microclimates range from coniferous mixed forest found in the valley, to slightly drier slopes, to Alpine tundra way up in the alpine. A simple walk through the valley is enough to recognize the rich, saturated greens of the landscape. This vibrancy is thanks to Whistler’s abundance of precipitation that comes mostly in the form of snow in the winter and rain in the spring and fall. This climate has allowed for a temperate rainforest to flourish here. This rainforest is comprised of mostly coniferous giants such as Douglas fir, Western Hemlock, Western Red Cedar, Amabilis Fir and Sitka Spruce or Whistler spruce. 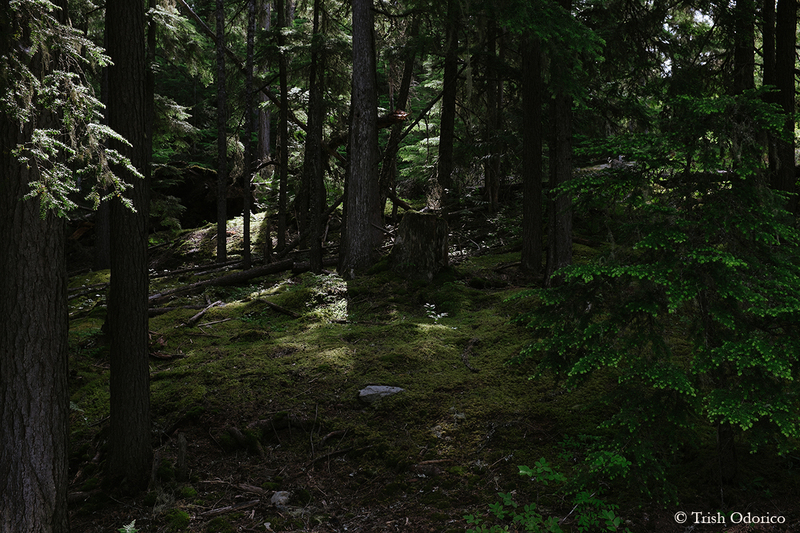 While hiking through a Whistler forest one might also notice the lack of sunlight available to much of the greenery and soil beneath the thick canopies of branches and leaves above. For this reason, few deciduous trees are able to survive here. The ones that do survive do so in forest openings and include mostly Red Alder and Douglas Maple, while Towering Black Cottonwoods are commonly found along valley streams and rivers. 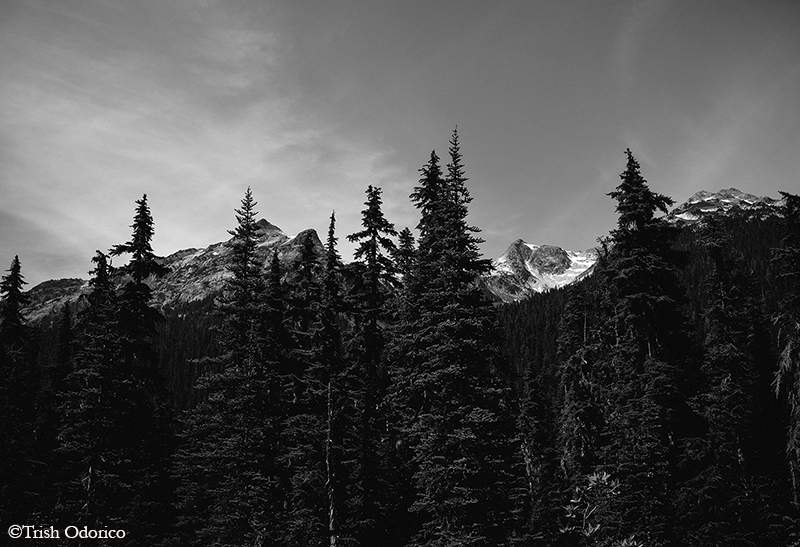 As you travel a bit higher into the subalpine terrain you will notice Mountain Hemlocks and Subalpine Firs replacing the Douglas Firs and Cedars found near the valley floor. 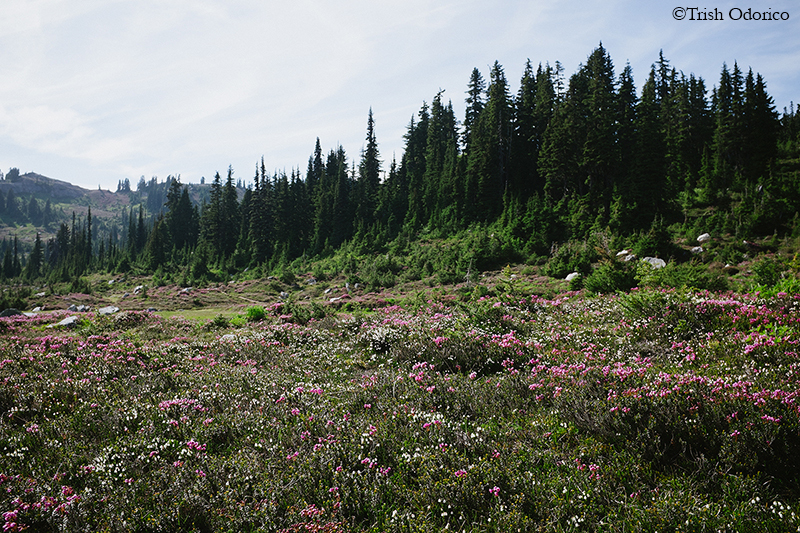 The subalpine forest extends from an elevation of approximately 1000 metres to 1800 metres. This area consists of typically less developed soil and is generally covered in snow much earlier in the fall than the lower levels. It also remains buried in snow well into the spring and early summer when the rainforest below is already thriving. Then of course, with a little more hiking, you reach the high alpine, the cheekiest of climates. Here you’ll find only the hardiest of tree species, as the elements seem to conspire against any plant life. This area is subject to more snow, greater winds and higher levels of UV than the lower ecological zones, yet you will see Subalpine Firs inching their way as high as they can go. 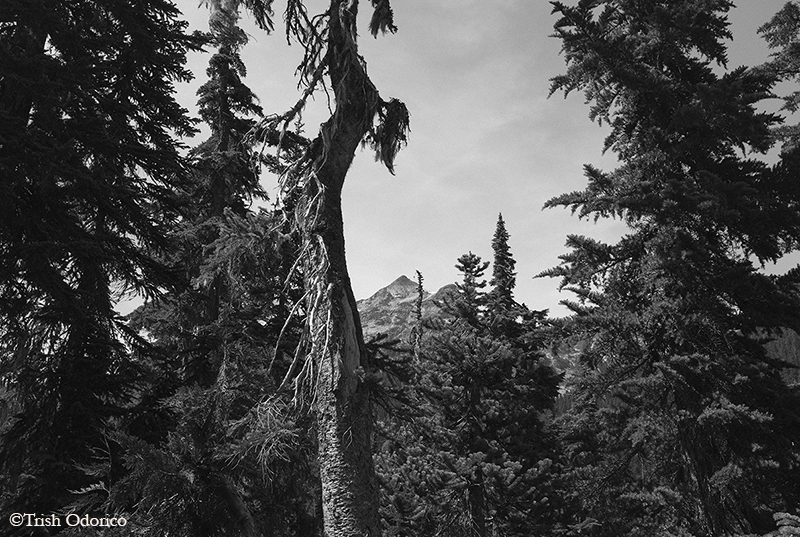 Whistler’s ecosystem is far more complex than just its trees. Whistler’s wetlands and plentiful undergrowth is a topic all on its own, and perhaps a topic for another post soon.